The West End is southwest of downtown Atlanta. It is bounded roughly by I-20 and the Atlanta University Center on the north, the curve of the Beltline corridor along the west and south sides and the Railroad tracks/Marta line/Lee on the east. The West End Historic District exemplifies the pattern of growth and development that characterized metropolitan Atlanta during the late 19th and early 20th centuries. It is architecturally similar to the myriad other intown neighborhoods that developed alongside West End such as Grant Park, Inman Park and others. The West End Historic District was Atlanta’s first historic district and the site of the first completed stretch of the Beltline trail. Wren’s Nest – Joel Chandler Harris House Museum and storytelling on Saturdays, no one is too old for these storytellers! West End food is primarily deep Southern soul food and Caribbean. So, all good for the soul? You might find BBQ stake outs on empty lots, particularly Friday, Saturday and Sunday. Go for it. The development of West End originates in 1835 with the establishment of White Hall Inn at the intersection of what is now Lee St and Ralph David Abernathy Blvd., or RAD for short. 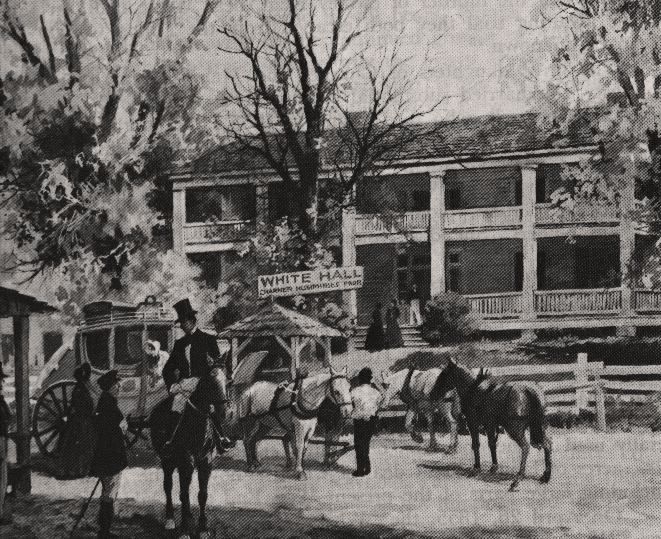 The Macon and Western Railroad line came through in the 1840s, running just east of the tavern and soon land speculators such as George Washington Adair (Atlanta notable and nearby Adair Park namesake), John Thrasher and Thomas Alexander bought lots surrounding the inn, anticipating future growth. Growth was well underway shortly after the Civil War, evidenced by a report in Atlanta’s Daily Intelligencer in February of 1867: “lots have been purchased and houses have gone up like magic,” the suburb even “boasts its Academy” and “two full-fledged stores. . . . and thus we find the star of our delightful little suburban village in the ascendant. . . . Vive la West End.” This new “suburb” was named after the fashionable theatre district in London. A mule drawn streetcar on Whitehall St. in downtown Atlanta, 1872. In 1868, the inhabitants of the area received a town charter and the land speculators began subdividing their holdings and promoting West End as the ideal suburb of Atlanta. In 1870, Adair and Richard Peters (of Peter St.) started Atlanta’s first streetcar company, the Atlanta Street Railway Company, which provided mule-drawn trolley service to West End. By the 1880s West End was indeed a desirable suburban community. Wealthy Atlantans built large estates here and the main commercial district moved south from Whitehall to Gordon St. After Atlanta annexed West End in 1894, the district saw the lots fill with Queen Anne two-story houses, cottages and bungalows. West End is architecturally in sync with Grant Park, a neighborhood at the eastern end of Gordon St. There were many notable residents in the early years of what could be called Atlanta’s first suburb. Most of them are Atlanta notables, men who made this city in that time, names we only know today by the streets named after them (at least, those that have not yet been changed). However, one famous resident stands above the others in historical rememberances. Joel Chandler Harris, author of the Uncle Remus stories, moved to a smallish 1870 farmhouse on Gordon St. (now RDA) when he came to Atlanta to work for the Atlanta Constitution. By 1884 Harris had renovated the house in the Eastlake Queen Anne style to fit with the times and the prosperity of the neighborhood. The remodeling of the Wren’s Nest was contemporaneous with other remodelings and construction throughout Atlanta of the most eclectic renderings of the Queen Anne style including the Hammonds House a few blocks away on Peeples St.
Peeples Street is one of the prettiest streets in the neighborhood. Lined with Victorian houses and cottages in varying degrees of fancy, this street in particular shows the street in the heyday of the West End’s residential development. Huge oak trees and brightly blossoming dogwoods in pink and white line the street which saw a surge of residential revitalization in the last decade. With the growth and success of the Atlanta University Center (including Spelman and Morehouse Colleges), West End saw an influx of African-American residents on the north side of the neighborhood. The formation of the West End Businessmens’ Association allowed for several “urban renewal” decisions such as the widening of Gordon Street and demolition of residences there. The construction of I-20 was expected to create greater accessibility to the business district (it is close indeed), but in effect it physically separated the black and white areas of the neighborhood and aided travelers in their swift flight from downtown to the new suburbs of Atlanta. For years, Ralph David Abernathy Boulevard was a dreary ruin, an endless row of hair-care storefronts and dreadful food choices. Yet West End is that rare Atlanta neighborhood that hadn’t destroyed its history and there has been a resurgence of pride by the residents in the 2000s, due in large part to the efforts of the West End Neighborhood Development group. In 2005 an Ace Hardware was built within several historic storefronts at the center of the commercial district on RDA, the first adaptive reuse of a historic building Ace had done outside of New York City. The local hardware store was heralded as a community turning point for this neighborhood in the midst of renewal. West End was chosen by Creative Loafing in 2010 as Best Neighborhood For Artists, and the neighborhood continues to see positive growth and new life, duh, #beltline.